Interest in population health has grown over the last decade, particularly with regard to value-based care. These two initiatives go hand in hand as physicians, providers, and payers seek to provide proactive health care rather than reactive "sick care." Population health can only be improved if the healthcare community increases interaction with patients in settings where costs are lower. To better understand what patients need and to ensure providers are delivering care when and where appropriate for each patient’s situation, the healthcare community must leverage today’s cutting-edge technology and data to gain insights that drive optimal decision-making. Interestingly, the definition of population health tends to vary depending on who you ask. Ultimately it boils down to managing the health of a defined group — whether it’s based on geography, age, disease, or behavioral factors — by providing the right intervention at the least costly point in the care continuum. An effective population health management strategy includes improving care coordination, enhancing health and wellness, eliminating disparities and increasing transparency and accountability —all with the goal of delivering higher quality care at lower costs across the board. Healthcare executives consider population health to be a dynamic area — 83 percent indicated it is critically or very important, according to The State of Population Health: Third Annual Numerof Survey Report released in April 2018. A vast majority — 97 percent — expect population health initiatives to offer a significant opportunity to gain control of clinical costs, as well as improve quality of care and patient outcomes. But these executives also admitted they are still in the early stages of experimenting with risk-based agreements. Driving these executives’ interest in population health, in part, could be a more serious focus by key organizations in implementing value-based care initiatives. For example, the Centers for Medicare & Medicaid Services (CMS) introduced several programs, and by this year, expects that half of Medicare payments would be structured according to value-based models. Commercial payers are also going down the same path, as many have announced their own value-based care programs and set payment goals. Additionally, there's the Medicare Access & CHIP Reauthorization Act (MACRA), which established the Merit-based Incentive Payment System (MIPS) that links fee-for-service payments to quality and value. MACRA is designed to promote delivery of better care, encourage smarter spending, and result in a healthier population. Both CMS and MACRA value-based care initiatives put more focus on the patient perspective, requiring measurement of outcomes, patient experience, care coordination measures, and appropriate use of services. This is where technology can play a vital role. To achieve success with healthcare technology for population health, providers and healthcare organizations will need to ensure solutions can integrate with electronic health records, practice management systems and entities across the healthcare community. By tying together these common platforms with new technologies, the healthcare community will be able to aggregate clinical and financial data to gain real-time visibility into key performance metrics, such as Healthcare Effectiveness Data and Information Set (HEDIS) and those related to Accountable Care Organizations (ACOs). Additionally, practices and providers can gain control of their workflow with integrated care management platforms, enabling them to better engage with patients and ensure intervention at the right time to optimize health outcomes. The data is collected… now what? But having access to data is not enough. It’s what you do with the data that matters. The sheer quantity of data from various sources can be overwhelming if the healthcare community does not have a way to analyze it effectively to serve patients better and reduce costs. Analytics tools, which were mentioned frequently in the HIMSS survey, are critical for closing performance gaps. With the right analytics in place, providers can identify open care gaps for preventative screenings or annual wellness visits, or measure clinicians' performance over time to ensure they are applying best practices. By leveraging technology to provide a holistic view of patient needs, the costs of care, and when and where improvements are necessary, the healthcare community will be able to make strides in improving population health through value-based care. About the author: Zachary Blunt is the manager of population health at Greenway Health, a leading health information technology and services provider. He has worked in the healthcare industry for more than eight years and has been a member of the Greenway team for five years. At Greenway, Zach focuses on the company’s population health and patient engagement tools — he has a passion for improving patient behavior toward their overall health goals. 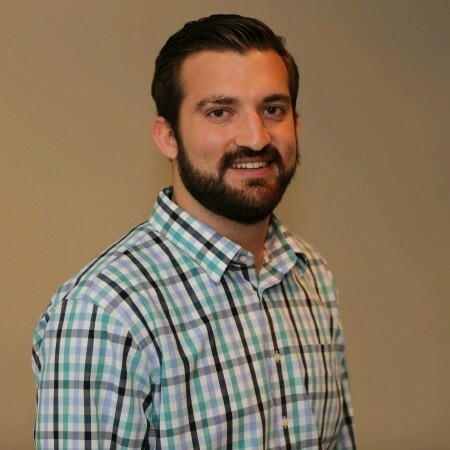 Zach is an MBA candidate in the University of Florida program and received his Health Information Technology and Health Information Exchange Specialist Certificates at the University of Texas at Austin. He currently resides in Tampa, Florida.